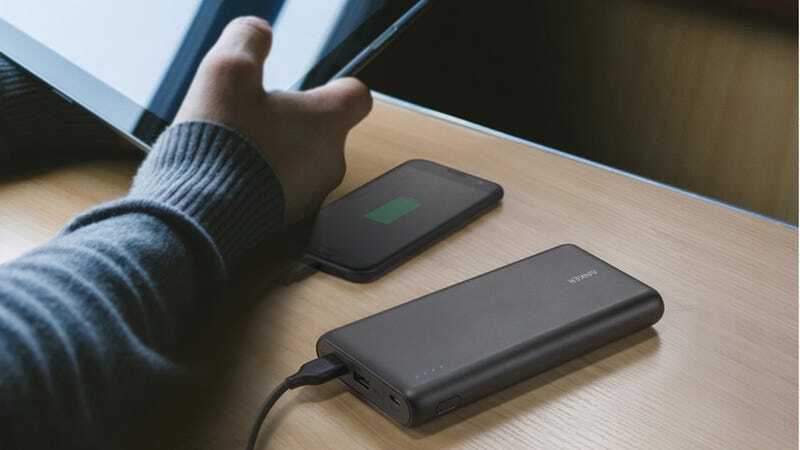 Anker’s PowerCore Speed battery pack is the same PowerCore battery you know and love, but with a Quick Charge 3.0 port in addition to Anker’s standard VoltageBoost and PowerIQ technology, meaning that no matter what you plug in, it’s going to charge as fast as possible. The 20,000mAh model normally sells for $50, but today, it’s down to $40. So now you can replace your battery anxiety with other forms of anxiety. Enjoy!